White taps out Finlay with a modified Boston Crab, using his knee on Finlay's neck for leverage. * Finlay kicks out of a shotgun dropkick at 2. * White kicks out of a dead-lift German Suplex at 2.5. Sydal pins Gedo with a Shooting Star Press from the top turnbuckle. A good match, in which Delirious acted like a complete loon! * Delirious grabs a woman's purse form the crowd, holds it in his teeth, carries it into the ring between his teeth, then hits Liger with it. * Delirious kicks out at two following a standing moonsault from Sydal. Castle pins Kazarian with the Bang-a-Rang. 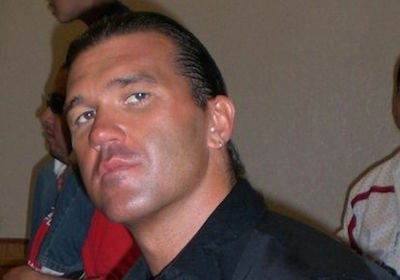 * Kazarian starts the match by mocking Castle's goose-step. * Castle pays homage to Nakamura, using Shinsuke's backing away move before doing the Swagsuke in the middle of the ring. * Castle nails Kazarian with a hard-way overhead suplex two times during the match! * Kazarian hits a lungblower on Castle out of the corner. 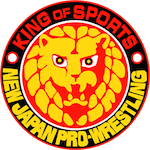 * Castle kicks out at 2 of an Electric Chair Drop bridging pin that Kazarian calls "Back to the Future"
Shibata pins Gallows after the sleeper into the Penalty Kick. I really hate that finisher Shibata uses. * Shibata comes into the ring to break a pinfall on Goto, then stomps on Goto just to wake him up? Weird spot, building tension between the two. * Goto hits the Ushigorshi on Anderson. * Shibata kicks out of a Spinebuster Pin by Gallows. The fans chant "Gallows" and "Bullet Club" as the 4 members of Bullet Club hug after the match, and Tama Tonga and Bad Luck Fale bow to Anderson and Gallows. Anderson and Gallows then bow to all 4 directions of the crowd. And both get on their knees and bow their heads to the mat for a minute. Moose pins Bushi after nailing him with a spear. * Moose takes out Naito and Bushi with a flying cross body-press from the top turnbuckle. Elgin powerbombs Yoshi-Hashi into the turnbuckle, the finishes him off with The Elgin Bomb. * Ishii nearly decapitates Strong with a clothesline. * Elgin brings Yoshi-Hashi from the apron back into the ring with a dead-lift Superplex! Strong and Ishii scuffle after the match, teasing a rematch for the ROH TV Title. Omega pins Yano after a triple-team More Bang For Your Buck. Once again we get a title change, and new 6 Man Tag Champs. * Kenny Omega comes to the ring in a New Day shirt! * The Briscoes throw Matt Jackson over the ring-post in the corner taking out Cody Hall at ringside. * All three members of Bullet Club hit simultaneous suicide dives through the ropes, taking out all of their opponents on the outside! * Yano takes off the turnbuckle padding and takes out all three members of Bullet Club, swinging it like a baseball bat and connecting with each member of Bullet Club. * Omega hits a sick looking release dragon suplex on Mark Briscoe. Los Ingobernables attack Honma when the ref is down, and Lethal nails Honma with the Lethal injection to retain his title. * Lethal comes to the ring with the Los Ingobernables hat Naito gave him on the last show. * Fans start off dueling chants of "Let's go Lethal" and "Honma" as the match starts. * Lethal hits 3 consecutive suicide dives through the ropes nailing Honma on the outside of the ring with each one. * Lethal kicks out of a Blockbuster at 2. 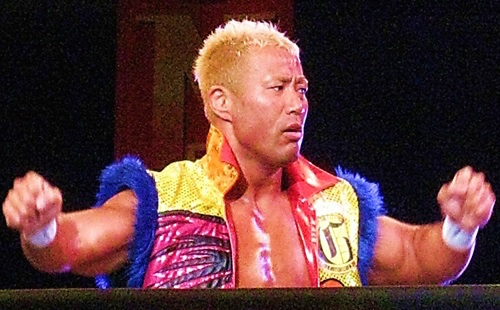 * Honma hits a Kokeshi from the top turnbuckle to Lethal at ringside! After the match Lethal goes to shake Honma's hand, and as he does Bushi mists Honma!